Note: We’re posting this a week before the tournament begins. The teams and brackets aren’t set, thus some of the features are still incomplete and we can expect an update to roll out early next week. We’ll be updating this post after the updates. 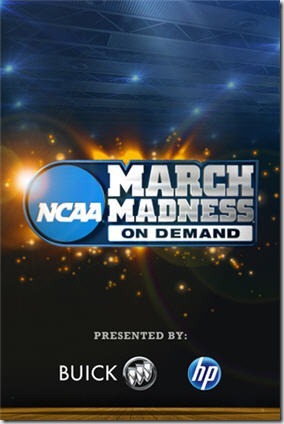 This years edition of March Madness will be the first with 68 teams instead of 64. Four additional teams will play on Tuesday and Wednesday evening with the real “Madness” kicking off at noon ET on Thursday. 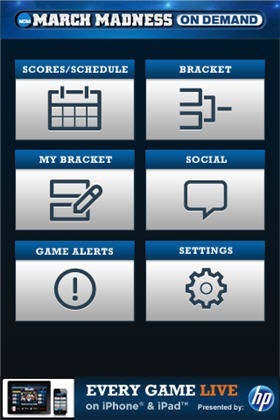 In addition to watching the game, you’ll get all the other necessities of a fan during March Madness, like brackets, scores and schedules, and even a way to share you thoughts and opinions easily via social media. 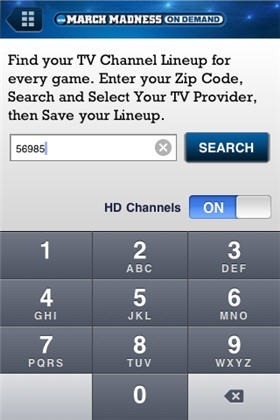 Another nice feature is the ability to enter your zip code and find your TV provider. This promises to be very helpful with games being broadcast on 4 separate channels this year, and some of them being lesser known stations like TruTV. Update (3.15.2011): After the update, we were required to provide name and email to sign in. 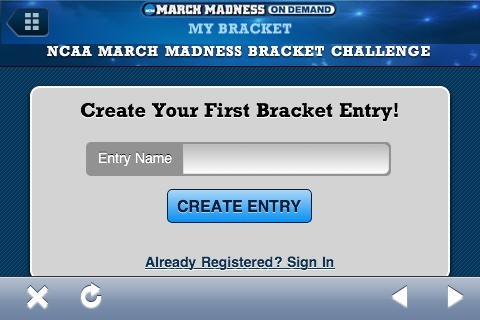 When the game starts, click on it to begin watching. We found the quality to be generally quite good on our iPod Touch over WiFi. It did take about 20 seconds or more to load the video stream, which means if that is the norm, it won’t be very conducive to jumping back and forth between games. 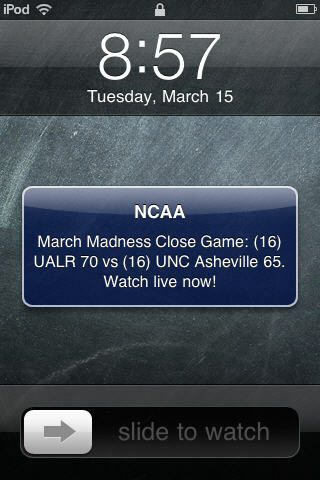 We also got a “close game” notification update during the UNC-Ashville vs Arkansas Little Rock game, but we got the notice that the score was 70-65 when it was 72-72 with 10 seconds left. So far, that’s certainly not as timely as I would have hoped. 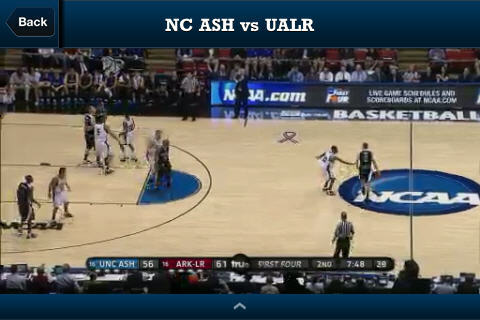 For new iPad owners, what better way to break it in your new device than by streaming live NCAA Tournament basketball games. 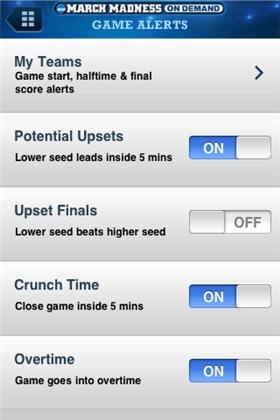 It’s a bummer for Android owners, but there will be no March Madness Android app this year.